It wasn’t a great movie. In fact, it had almost been forgotten until George Clooney and his friends produced a remake in 2001. 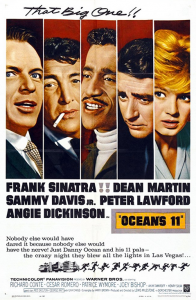 It was Ocean’s 11, starring Frank Sinatra, Angie Dickenson, Dean Martin, Sammy Davis, Jr. and a number of other famous Hollywood stars. The premise was pretty simple: a group of ex-military friends would rob five Las Vegas casinos on a single night. It was an exercise in logistics, primarily. And although there was some technological hurdles to jump, it was by and large a mechanical operation. The motivation? Money. Cash. Lots of cash. So, what motivates the cybercriminal? You know—that shady, unknown character (or entity) lurking in the shadows waiting to take advantage of a lack of security he, she or they hope you do not have. What motivates them? Chances are they probably don’t have the looks of Sinatra or Dickenson, or the suave of Martin or Davis. But it probably doesn’t surprise you they have many of the same motivations. At the Carolinas Net Care Spring Technology Briefing, my colleague Greg Aker shared some of what motivates a cybercriminal to attack your system. Turns out, the Ocean’s 11 crew wasn’t far off. Cash. 76% of breaches are financially motivated. Is there easy access to your bank accounts or your other financial resources? If so, they want to find it, and the easier, the better. Ransomware. It used to be anyone wanting to plant ransomeware on a network needed a big hit to make it worth their while. No more! Ransomware has moved from big score to a commodity. Proliferation of code designed to disable systems from outside has made smaller targets both accessible and profitable. Coin mining. Attempts to target bitcoin and other crypto-currencies was up 8,500% in 2017. Payment card data. As with cash, gaining access to payment card data – number, expiration, security code and name – allows the criminal to access those funds for financial gain. Personally identifiable information. Even name and address information allows other data stolen from other entities to be verified, making it more valuable. Intellectual property. Your secret sauce – what makes your company competitive in the marketplace – can be valuable. The bottom line is it all relates to cash. 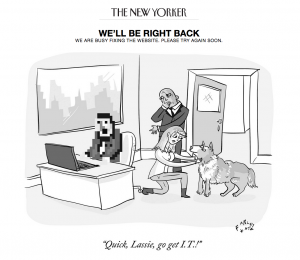 Everything becomes a marketable quantity in the digital marketplace. Carolinas Net Care continues to monitor all threats. Sometimes, it’s just good to know what you’re up against.